The team held its AGM last night, as well as the appointment/re-appointment of team members in key roles within the team it was also a time to celebrate milestones achieved by two members of KMSRT. 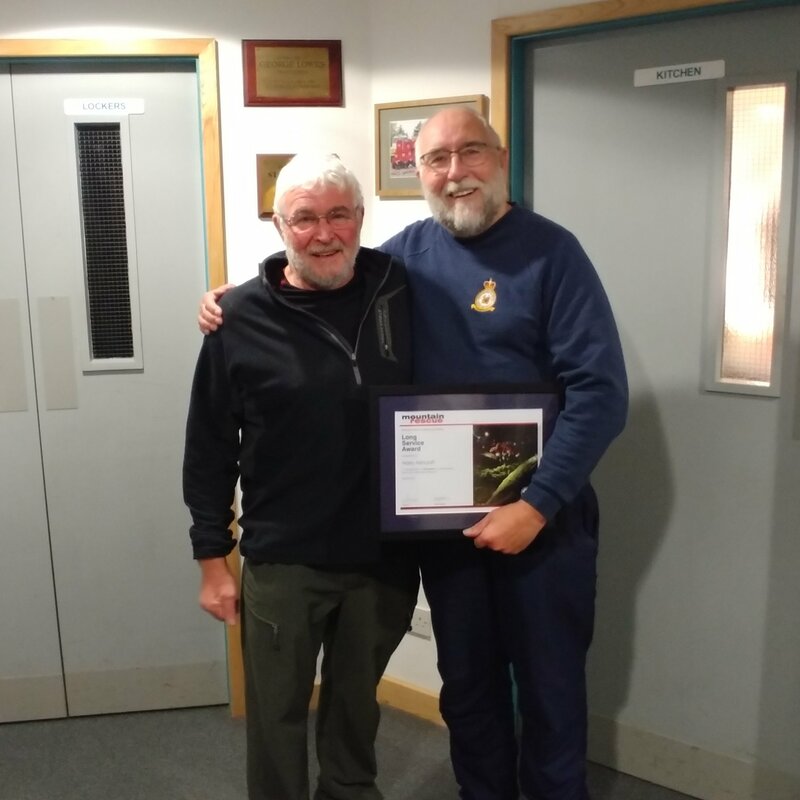 Harry Ashcroft received a certificate for 40yrs service to MR which included his time with RAFMRT and Duddon & Furness MRT amongst others prior to joining Kendal. John Leadbetter received a certificate for 25yrs service which has included his time (alongside Harry) at Duddon & Furness MRT and Langdale & Ambleside MRT. 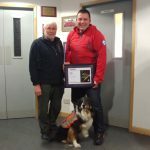 John is also heavily involved in the training of up and coming search dogs and has his own graded search dog Skye. They were presented with their certificates by team President Steve Kelly. 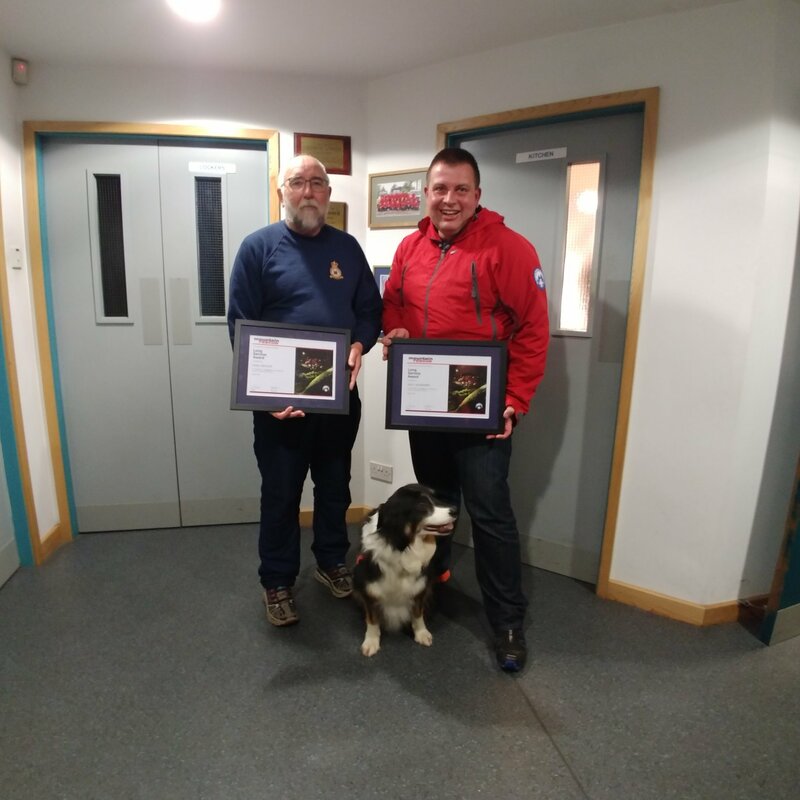 Thank you both for you service.